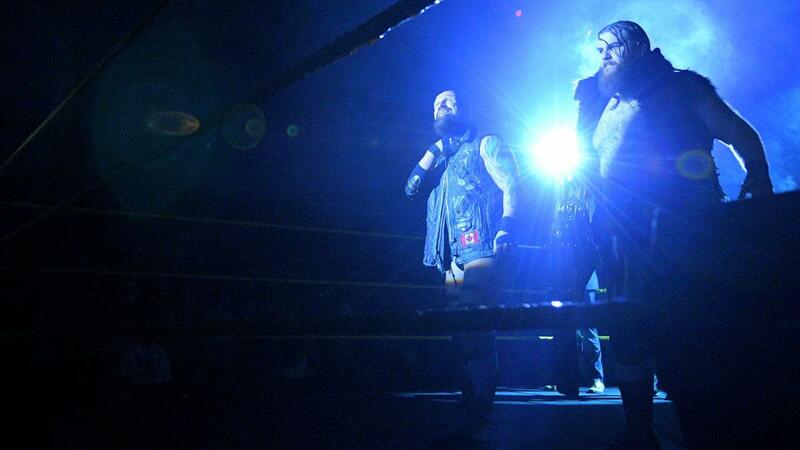 Though they've yet to appear on television since being announced as coming to SmackDown in the Superstar Shakeup, SAnitY had their first main roster match here. Dain was at ringside and interfered to cause the disqualification. Almas won with the hammerlock DDT. Asuka used the Asuka Lock on Lana for the finish. Hardy retained by hitting the Swanton Bomb and pinning Miz. New Day hit their finisher on Cesaro for the win. Carmella had her feet on the ropes as she got the pin. Bryan made Cass tap out and thanked the fans to close the night. This was a good, very wrestling-heavy show. - No Way Jose, Titus O'Neil & Apollo Crews defeated The Ascension & Curt Hawkins when Jose pinned Viktor. - Sasha Banks, Bayley & Dana Brooke defeated The Riott Squad (Ruby Riott, Sarah Logan & Liv Morgan) when Bayley pinned Morgan. - Braun Strowman & Bobby Lashley defeated Kevin Owens & Sami Zayn when Strowman pinned Owens.